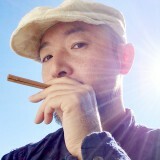 Masalatek is the alias of Japanese house music producer and VJ, Video Takashima. After working at a club and concert as a VJ E-MALE, He focuses on music production. "Mazume"(UNKNOWN season) got support and great feedbacks from DJs like Laurent Garnier, Dan Curtin, Satoshi Tomiie.